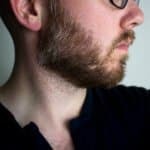 Is A Shave Brush Really Worth It? Is It Really All In The Shave Brush? 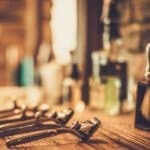 If you are new to wet shaving for the very first time or are learning about the shaving process in a bit more detail, you will see one product that is often mentioned time and time again. It’s always seen as the classic sidekick to either a straight razor or a double edge safety razor. There are a ton of benefits realized when you start using a shave brush in your morning routine – and I will be touching on all of them in a bit. There are a lot of mechanics in play when understanding a shave brush, from knot to loft and the handle. First off a knot is the diameter of the base of a brush. Typically if you are first starting out you might want to get a brush around the 24mm knot size. This is a soft figure – so don’t feel like you need to get one that is exactly 24mm. Generally a 24mm knot size will give you a good balance of spread vs precision. You see a smaller knot will carry less shaving cream or soap and therefore may require you to lather up a couple of times. With the smaller knot size though, you can be much more precise with your application of shaving cream. 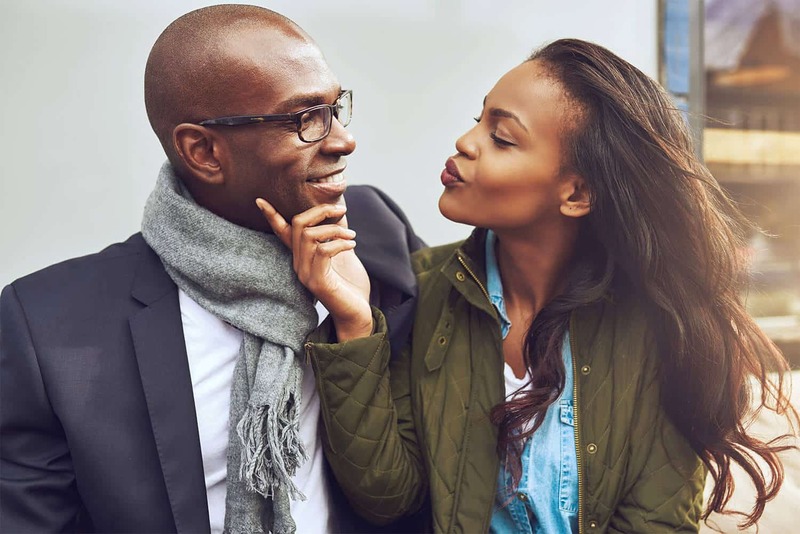 On the other hand, larger knot sizes will provide a much wider spread of shaving cream – often times joked as being a ‘face mop’ and will carry a ton of shaving cream and lather. Therefore those with larger knot sizes may incidentally waste excess shaving cream. The loft on the other hand is the actual height of the bristles. Why are these too distinct features important when researching for shave brushes? During the application of shaving cream to your face, a shave brush also acts as a gentle pre-exfoliation to your face before a razor blade ever touches it. This is key in that it will remove excess oils and dirt that may have been left behind in your pores after you took a shower. When you choose a shaving brush with a much medium knot and shorter loft, you will have a lot more control over the brush leading to both a deeper exfoliation and likely a better denser cushion in regards to the shaving cream as well. This will have a direct impact on the performance of your razor when you make your first pass and subsequent passes. There are all different fibers used to create a shaving brush including horse, boar, synthetic, and badger. 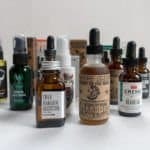 Horse hair was on a hiatus for several years due to an anthrax scare however, lately you may be noticing them starting to popup in mens grooming boutiques. Also to note the collection effort for horse hair can depend on the manufacturer. Some may collect hair from the mane or tail making them 100% cruelty free and others may gather the hairs for slaughtered horses. So it can vary manufacturer to manufacturer. Horse hair is a great option for the seasons wet shave enthusiast looking to explore their options. Boars hair will generally be a bit on the cheaper end – which can be great for beginners just dipping their toes in the water. You will notice that boars hair tend to be a bit more rigid and have a bit more backbone to them as opposed to silvertip badger hair (which I will cover in just a bit). It’s not to say that they are any better or worse, however, they are simply different given that they are a different fiber altogether. In addition, boars hair does require a few weeks of breaking in before you truly start to realize the full performance of a brush. With recent advances in technologies synthetic are starting to gain steam within the wet shaving community. They are getting closer to animal based products and are giving the high end badger brushes a run for their money. Synthetic brushes are great for first timers in that they can also be a bit on the lower end and for the animal conscious shavers. Badger brushes are by and far still the most popular shave brushes of wet shavers everywhere. From pure to silvertip and everything in between, badger hair shaving brushes come in many different grades. Badger hair is considered among the best fibers for shaving creams and are used in many different beauty products outside of shaving brushes. 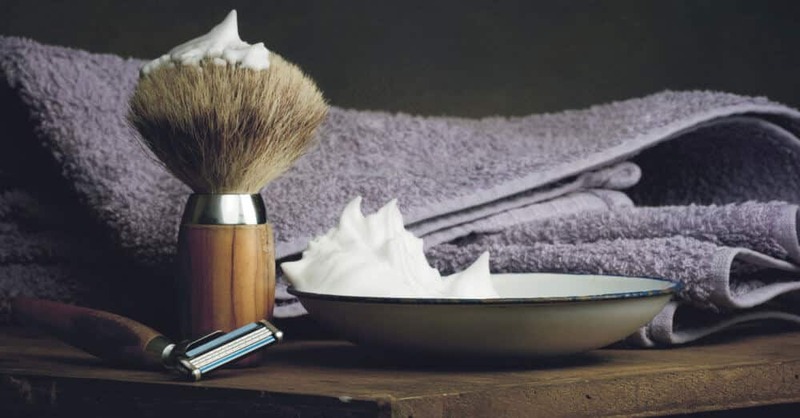 There ability to retain both heat and moisture make them the ideal fibers for shaving brushes. You see when you have both heat and moisture contained within a brush, you are able to build up a terrific cushion and lubrication with the shaving cream of your choice (assuming its a high quality one) leading to a really comfortable shave. 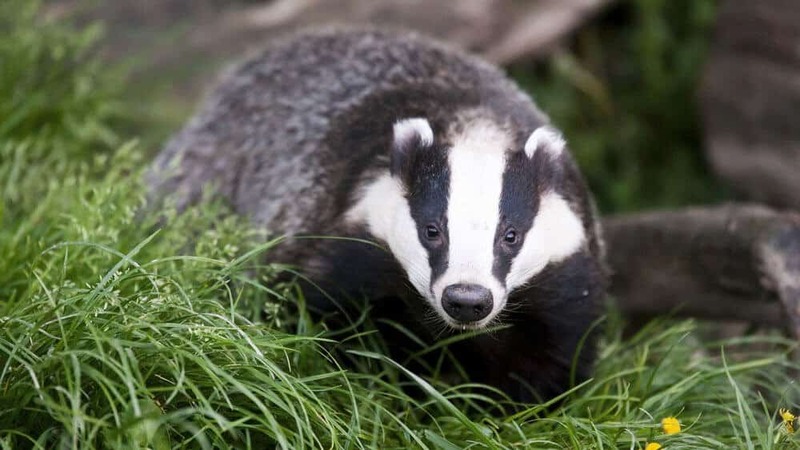 To note: Unlike horse hair brushes, badgers are indeed killed in the production of these types of shaving brushes. Therefore if you are looking for an animal friendly product you will want to use either synthetic, horse, or your hands. Most badger hair is sourced from China as well. In another post I outline all the different types of badger hair grades. This is should provide a great resource so you can get a brush that is ideal for your. 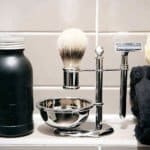 While I have hinted a few times about shave brushes delivering a good cushion and lubrication – but what does this really mean? You see, when you use a cheap shaving cream out of a can they are often times loaded with harsh chemicals, not much heat, and a lack of rich moisture. This will directly impact the quality and comfort of your shave. On the other hand, when using a shaving cream that is a bit higher in quality and one that you mix your self you have full control over both moisture and also heat. 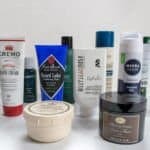 As an added bonus, the ingredients within shaving creams typically contain awesome oils that provide both a great lubrication and hydration for your skin. Therefore when mixing up your own shaving cream and using a badger brush, you are able to produce a cream that is far richer than a can will ever hope to be. This rich shaving cream will help soften the hairs tremendously making it easier for the razor blade to effortlessly glide through and cut the hair. When it comes to the actual application of shaving cream, you are likely accustomed to applying it with your hands. Unfortunately this method is not good at all. When you apply a shaving cream with your hands, your hairs end up pointing in several different directions, included being matted down against your skin. When your hairs become matted down, its going to be a bit tougher for your razor to cut through the hairs ultimately requiring you to be a bit firmer with the blade. This leads to severe discomfort when you are done shaving. If you are using a shaving brush it will help in actually raising up the hairs on your face. 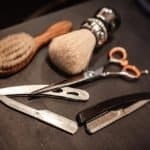 When hairs are raised (as opposed to matted or pressed down on your skin) – the razor blade will have a much easier time cutting the actual hair since it will be standing on edge, thus not requiring you to press firmly. Therefore, when its easier for the razor blade to cut through the hair, there will be a lot less irritation for your skin (i.e. reduction in razor burn, bumps, etc). While comfort is key when deciding whether or not to get a shaving brush, wet shavers everywhere swear by their benefits. As far as the cost for a shaving brush they can definitely vary depending on the grade of the fiber that you end up purchasing. If you go all out and decide to buy a slivertip badger hair shave brush, you could end up spending close to $100 on one (though you can find much cheaper silvertip brushes). However, if its your first ever time purchasing one, I would recommend to check out one that is either ‘pure’ or ‘best’ variety. These often cost under $30 and will still give you nearly all the great advantages of a silvertip brush but is great for beginners. 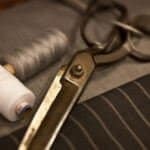 The largest differences between the grades will be the quality of the fibers and their ability to provide a nice cushion when applying the shaving cream. 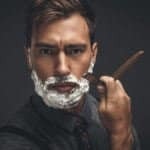 To note, there are definitely men out there that pass on the shaving brush and just simply use their hands as they have been accustomed to doing – and that’s completely fine. If you are a budget minded guy, you can still get a quality shaving cream and just simply place a dab on your hand and rub it in manually to your face – just be aware the cushion and lubrication of the actual cream won’t be to its fullest potential. Now every man likely has a toiletry bag (i.e. 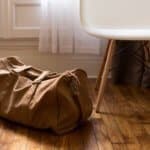 dopp kit) where they stuff all their gear in before they head out on a vacation or business trip. Being that dopp kits may have one large pouch to store all of your products in or a few side pockets, unfortunately this can and oftentimes does wreak havoc on your shaving brush. When it comes to shaving brushes, especially those that are made of a higher quality fiber (i.e. silvertip), they can and do get damaged if treated poorly. This is often times why you see shaving stands on the bathroom counter for men to house their shaving brush. 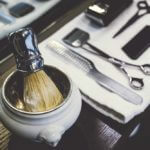 Therefore when traveling with your wet shaving gear, its generally recommended to use a travel shaving brush in place of your shaving brush that you use at home. While you can splurge to get a equally good shaving brush that you can use on the road, you can often times get away with getting one that is a bit lower in quality, especially if you only travel for a few days at a time. Therefore you can save yourself a few extra bucks. 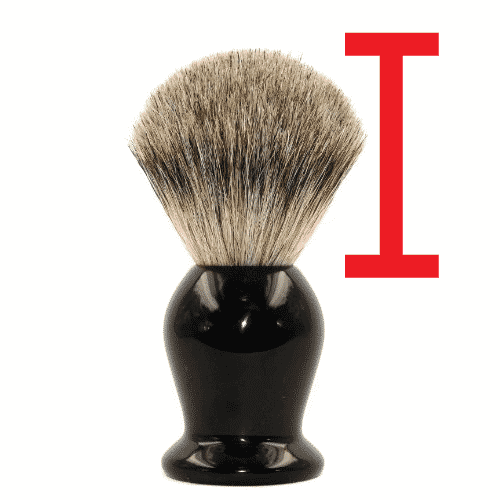 Those are the nuts and bolts of understanding some of the benefits of using a shaving brush. It will make for a much gentler shave with your razor (assuming you change your blades out regularly) and will make your face feel great afterwards. Now I definitely want to hear if you have any questions, so if you do, please drop a line in the comment section below and I will get back to you!